Booking a cruise holiday can be overwhelming with hundreds of cruise ships to choose from and no idea where to start. One good option is to start by choosing a cruise line you want to travel with, and then pick a location and cruise ship. Some cruise lines are perfect for families and kids looking for a cheap cruise, others are aimed at romantic couples looking for a luxury holiday with fine dining. You’ll frequently find P&O recommended as a good choice for first time UK cruisers. They visit loads of destinations, they win lots of awards and they're an all-rounder rather than aiming for a particular niche in the cruise market. Most P&O cruise ships are big and family-friendly but they also have some smaller ones which are for adults only, so you can avoid noisy children…. Larger P&O ships, such as Britannia offer swimming pools, spa and fitness areas, seven different venues with things like theatre and comedy shows, more than 10 places to eat, dance classes, guest speakers and so on. There are also​ lots of different children's and teenagers' activities across four different age groups. First-timers may prefer to limit themselves to a two night cruise to Belgium, just in you’ll want to get off after the first 10 minutes. Customer reviews for P&O cruises are a decent 4/5 (3.5/5 on CruiseCritic, 4.2/5 on Cruiseline.com, 5 out of 6 on IGLU). Berlitz travel experts give an average score of 3/5. Cruise International Awards 2017 - 2nd Best for First Time Cruisers and 2nd Best Overall Cruise Line. Destinations and departure ports: ​P&O is a popular choice with UK cruisers who want to avoid flying. When we searched there were nearly 300 no-fly cruises from Southampton including Canada, Caribbean, Central America, USA and Scandinavia. Of course, if you want to visit the Caribbean you’re going to spend a long time at sea… If you don’t mind flying first, P&O travel all over the world, including Africa, the Americas, the Caribbean and the Far East. Typical price: £3250 for a 14 night cruise for two people with an outside cabin in June 2018 (Spain, France and Italy, departing from Southampton). 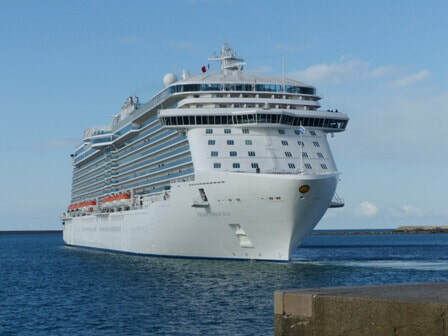 Princess Cruises is a mid-priced cruise operator which is a solid choice for first timers. They’ve got nearly 20 ships to choose from and you can go straight from Southampton if you’d rather avoid getting on a plane. Princess Cruises attracts a fairly wide age range, with plenty of families onboard. ​Onboard activities include stargazing talks, swimming pools, outdoor cinema, cooking demonstrations and dance classes. When I searched, upgrading to a room with a balcony was very reasonably priced (a couple of hundred pounds per person). I’ve seen some cruise lines charging more than double for in-demand balconies and verandas, compared to the inside cabin price. Destinations and departure ports: UK travellers can start from Southampton or Dover (both listed as ‘London’ on the website for some reason). There’s plenty of choice around Europe, Scandinavia or you can go for a long cruise to the USA or Australia. If you’re willing to fly first, there’s a much bigger choice around the Caribbean, Asia and the Americas. ​Typical price: £2200 for a 10 night cruise for two people with an oceanview stateroom (i.e. a room with a window but without a balcony). Travelling onboard Sapphire Princess from Southampton in October 2018 and visiting 6 destinations including Gibraltar, Barcelona and Rome. Don’t assume Saga Cruises are all digestive biscuits and crosswords – they get excellent reviews and win awards for value for money. Which? named them as the 2nd Best Cruise Line in 2018. They’re only available to the over 50s, which means you won’t have your sunbathing ruined by a teenager diving in the swimming pool. Saga cruise ships are smaller than most, but that does have its advantages and there is enough to do onboard once you’ve spent most of the day out on an excursion. There’s music onboard as well as bars and shopping but don't expect the non-stop noise and parties that you get from some cruise lines. Overall score of 4/5 from customers (4/5 on CruiseCritic, 6/6 on IGLU - not many reviews). Wave Awards 2017 - Best Value For Money Cruise Line. Which? - 2nd Best Cruise Line 2018. Destinations and departure ports: Saga has a good choice of cruises from Portsmouth, Dover and Southampton. From the UK, you can visit Scandinavia, Europe, the British Isles or the Mediterranean. If you’re willing to fly first, you can tour the Caribbean. Saga also offer river cruises along the Danube, Italian Waterways and Rhine. Typical price: £4400 for a 10 night Scandinavian cruise with an outside cabin for two people in October 2018 (travelling from Southampton and visiting Netherlands, Germany, Denmark and Sweden). First time cruisers might not have heard of Norwegian cruise company Hurtigruten but they’ve got more than a dozen ships and reviews are amongst the best in the cruise industry. They’re one to consider if you like the idea of visiting lots of interesting places, but aren’t so bothered about putting on your best ball gown and sitting at the captain’s table. You certainly won’t find many novelty onboard facilities or crooners in sparkly jackets belting out My Way. ​Instead, you’ll get to see views of places like Antarctica or the Norwegian or Canadian coastline. As a result, Hurtigruten tends to be popular with couples looking for an adventurous bit of sightseeing, rather than lots of families (although there are some children onboard). On the Scandinavian tours, the ships are also used by locals who are travelling from one port to another. 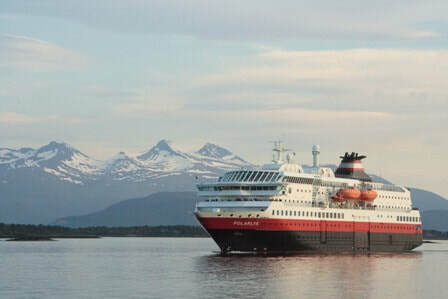 Reviews for Hurtigruten are well above average at 4.5/5 (4/5 CruiseCritic, 5/6 on IGLU, 4.5/5 on Cruiseline.com). Which? - 3rd best cruise line 2018. Destinations and departure ports: Hurtigruten cruises visit some really interesting places including Antarctica, Greenland and Iceland and they’re a popular choice for people hoping to see the Northern Lights. They have loads of tours around Scandinavia but they also travel in Europe, Russia and South America. 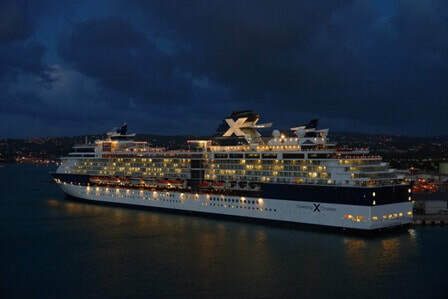 Celebrity Cruises is a good choice if you’re the kind of person who prefers chic modern hotels with spa facilities over a B&B with floral bed linen. Their award-winning large ships are jam packed with things to do including casinos, cinemas, live music shows, swimming pools, lectures, gyms, libraries, art galleries/studios, shopping and glass-blowing (eh?). ​There are also kids’ activities and some quirky features such as a grass lawn. Celebrity is a bit of an all-rounder, rather than being aimed just at one age group but it’s popular with couples, families and young-at-heart adults who don’t want to spend their holidays doing Sudoku. They also offer courses on using Apple products, which probably tells you all you need to know about the trendy clientele. Celebrity Cruises gets a very decent 4/5 from customers (4/5 on CruiseCritic, 5/6 on IGLU, 4/5 on Cruiseline.com). 4/5 from Berlitz (expert cruise reviewers). Destinations and departure ports: All over the world if you’re willing to fly (including Antarctic, Transpacific and Galapagos). From Southampton you can visit Scandinavia, Russia, Mediterranean, Ireland, USA and Caribbean or a mini cruise to France. Typical price: £4200 for a 14 day cruise for two people with an ocean view stateroom in September 2018 (Mediterranean tour departing from Southampton and visiting Canary Islands, Portugal and The Azores). It’s worth noting than an inside stateroom (i.e. one without a window) was almost half price at £2400. Oceania was named best cruise line by Which? in 2018 and it’s a popular choice with adults who are willing to pay for fine dining and a posher cruise experience. Children are allowed onboard, but there’s not much for them to do so families tend to choose a cruise company such as P&O or Royal Caribbean International. Oceania often wins awards for its onboard food and drink with the larger ships having several restaurants to choose from and posh afternoon tea. Staff are eager to please, with a ratio of one member of staff for every 1.5 passengers on some ships. The company describes the dress code as ‘country club casual’. The larger Oceania ships have a wide choice of facilities and activities including lectures, wine tasting, art workshops, spa treatments, swimming pools and casinos. Reviews are amongst the best in the cruise industry, averaging 4.5/5 (4/5 CruiseCritic, 5.5/6 on IGLU, 4.1/5 on Cruiseline.com). Destinations and departure ports: All over the world if you’re willing to fly (Asia, Africa, The Americas, Australasia). From Southampton you can visit the Mediterranean and Scandinavia. Cruising with Cunard is the kind of thing middle class people boast about at dinner parties (“Geoffrey and I have just booked a suite on the Queen Elizabeth…”). 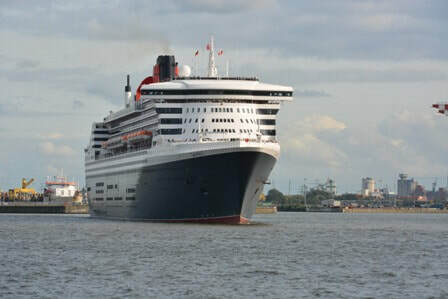 Cunard offer a traditional style of hospitality which capitalises on their reputation for luxury. Staff wear quaint little hats and white gloves and you’ll dine in a restaurant with people who have paid for a similar class of accommodation so you can compare notes on the quality of the bedding. 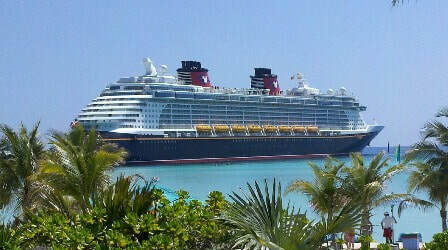 Onboard their small selection of large ships you can learn to tango, visit a spa, do some yoga or play shuffleboard. They also have guest speakers, bars, nightclubs and plenty of children’s activities amongst other things. Despite all that, some Cunard cruises are not as expensive as you might imagine. Equally, reviews aren’t actually the best in the industry. Don’t get me wrong, Cunard reviews are decent but they aren’t quite as glowing as a handful of less famous cruiselines such as Oceania or Hurtigruten. Typical price: £4400 for a 14 night cruise for two people with a balcony stateroom (New York, New England and Canada from Southampton). In this instance, an oceanview without a balcony wasn’t much cheaper. Royal Caribbean is one of the world’s biggest cruise operators with loads of large ships, jam-packed with wild and wacky activities. You certainly won't be bored. Their cruises are less about subtle sophistication, but are a chance to try a surf or skydiving simulator, roller disco, waterparks, rock climbing, zip lines or mini golf. ​There are also posh shops selling expensive things, art auctions as well dance and fitness classes. Anyway, you get the idea…there’s a lot to do (although bear in mind that not every activity is on every ship). They’re also one of the cheaper options with various cheap cruise deals and the kind of offers you’d usually find in supermarkets (buy one, get one half price etc). Solid scores which average 4/5 from customers (3.5/5 on CruiseCritic, 5/6 on IGLU, 3.9/5 on Cruiseline.com). Berlitz cruise guides average 3/5 although Quantum of the Seas and Oasis of the Seas scored 4/5. Typical price: £2200 for a 7 night cruise for two people with an ocean view in September 2018 (Mediterranean cruise from Southampton visiting big cities in Spain, Italy and France). As you might expect from the quaint English-sounding name, Fred Olsen cruises are much more traditional than the zip lines and surf simulators of Royal Caribbean International. The target market is similar to Saga Cruises, with onboard activities including things like watercolour tutorials or ballroom dancing. There are also gyms, saunas, swimming pools and gaming tables. We’ve included them in our top 10 because Fred Olsen regular punches above its weight and wins awards despite being cheaper than many cruise lines. They also have a good choice of cruises from Southampton and offer River Cruises. Typical price: £1900 for a 10 day cruise for two people with an ocean view (Madeira, Spain and Portugal in March 2018). ​​Disney Cruises are a great choice if a) you can afford it and b) you can endure 10 days of Mickey Mouse ears and endless Disney niceness. If you tick both those boxes then Disney is certainly worth considering for a family holiday, as they get reviews which are amongst the best in the cruise business. They also do themed cruises which are based around Marvel and Star Wars, so it isn't all princesses with white teeth. Onboard there’s a busy choice of things to do including live shows, kids’ clubs (as you’d expect), swimming pools with flumes, gyms and spa treatments. Reviews are outstanding with an average of 4.5/5 from customers (4/5 on CruiseCritic, 5.5/6 on IGLU, 4.4/5 on Cruiseline.com). Berlitz cruise guides give an average score of 4/5. Destinations: Loads of choice if you’re willing to fly first (Caribbean, Europe, Skandinavia, Alaska, USA). UK travellers can get a Disney cruise from Dover, although to be honest, the routes are a little dull (either touring round the UK or cruising across the Atlantic). If you want to see some more exotic locations you’ll need to get on a plane first. Typical price: £6000 for an 11 night cruise for a family of four with a balcony view (UK to New York in September 2018). What about other cruise lines? If you’re a regular cruiser you’re probably shaking your fist and asking why we haven’t included your favourite cruise line in our top 10. There are lots of other decent ones, including a couple which came very close to the top 10. Viking River Cruises and Viking Ocean Cruises both get outstanding reviews and very nearly made our list. Most travellers give rave reviews, averaging 4.5 out of 5 (4.5/5 on CruiseCritic, 6/6 on IGLU, 4.3 on Cruiseline.com). However, they don’t offer any cruises from the UK and they are expensive once you’ve included flights. The comparison we looked at was £700 per couple per night on Viking River Cruises compared to £466 per couple per night on Hurtigruten which gets similar reviews. Marella Cruises used to be Thomson Cruises and is worth considering for a mid-priced cruise . It gets decent reviews of 4/5 from customers (3.5/5 on CruiseCritic, 5/6 on IGLU, 4.2/5 on Cruiseline.com) and 3.5 from Berlitz. They attract a similar market to P&O cruises. 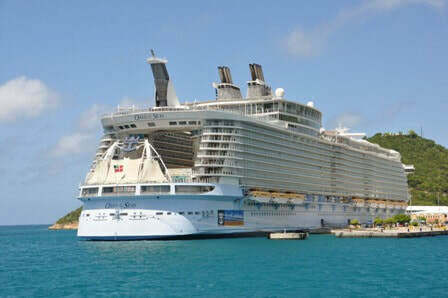 Norwegian Cruise Line is similar in size to MSC Cruises. Some ships get good reviews and prices are competitive, but overall customers reviews are about 3.5/5 so they didn't quite make our list (3.5/5 on CruiseCritic, 5/6 on IGLU, 3.5/5 on Cruiseline.com). Costa Cruises is a lively and affordable cruise line with a wide age range. Customer reviews aren't as good as most of its competitors, with an average of 3/5 (3/5 on CruiseCritic, 4.5/6 on IGLU, 3.2/5 on Cruiseline.com). Hapag Lloyd Cruises is a smaller cruise line than most, but it did achieve a perfect score of 5/5 from the prestigious Berlitz cruise guides for two of its cruise ships. It doesn't offer any cruises from the UK as far as I can tell. Customer reviews are very positive (4.5/5), but there aren't many to go on. Holland America Line is popular with older cruisers, with traditional hospitality and entertainment. Average reviews from customers of 4/5 (4/5 on CruiseCritic, 5/6 on IGLU on 3.9/5 on Cruiseline.com). The Best Cruises Guide Dont-Blame-Us-Disclaimer: facilities, onboard activities and prices were correct when we checked, but things change all the time so please check details direct with cruise lines, rather than blaming us. Bear in mind that some cruise lines are more 'inclusive' than others, so will add extra charges later. We just looked for the basic price.